Searching for a change in your home? 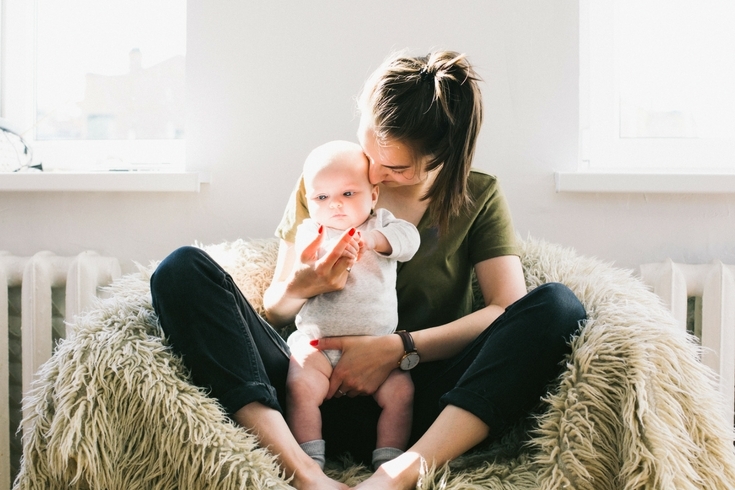 Here’s how to create a haven you and your family will love! Think about life without a haven. Life without a safe place to feel welcomed, find refreshment, or truly be yourself. A life like that is hard. After living in several places where I never felt like I could relax – or feeling like I was on pins and needles every single day because of my roommates – I know how miserable and tiring it can become. It zaps your energy and joy. And it adds a heavy burden to your every day. I also know how glorious it is to live in a haven. And I know how extra sweet it is once you’ve endured less than ideal living situations. Trust me … you don’t want to spend your life feeling uncomfortable or unwelcome. Whether you realize it or not, you need a haven. Your family members need it, too. Deep down, you know that longing is there. You need to feel comfortable and welcomed. A place that could nurture you and your family would be a dream come true. As much as you want this, you just don’t know how to actually create, let alone sustain a haven. When you look around your home, you see an uninspired mess. You don’t where to begin, or what to change or how to prioritize. All of those obstacles and the uncertainty make it even more difficult to feel motivated to change. When you also have a family, the pressing need for a haven feels so much more frantic, since you’re the one feathering your family’s nest. The great news is that you can transform your home into a haven. But brace yourself, because the transformation won’t happen overnight. In fact, it may look and feel like a very long process. But take one step at a time and do the hard work. It will be worth it. You will notice a difference. 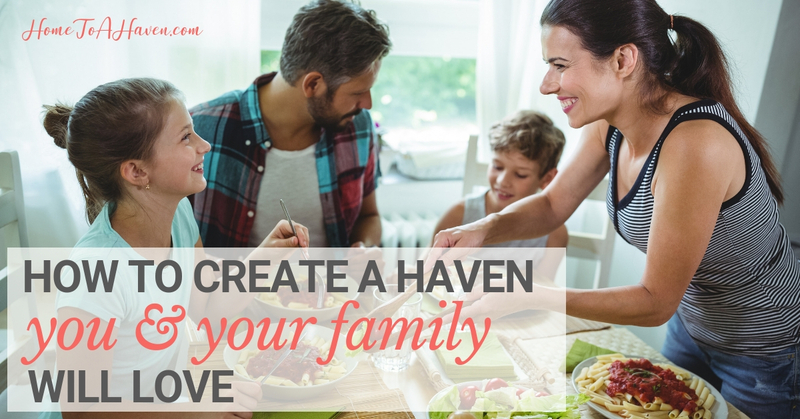 So you can start to create the haven you and your family needs, I’ve created a step-by-step guide to help you start your haven creation journey. When you’re finished, you’ll notice a dream has come true – you’ll have a haven you and your family will love. Ready to begin? Step 1 – Focus on your relationships. By far, this is the most important aspect of a haven, but it’s also the most difficult because it involves people and not things. Relationships form the heart of your home, though, and if they’re strained, everything in your home will be. Since stress and strain have no place in a haven, it’s vital that you work on these. Dealing with people – even if it’s just yourself – takes so much time. And it’s so very hard, because you can only do so much. A relationship is a two-way street, and there can be so much baggage and everything hinges on the other person. 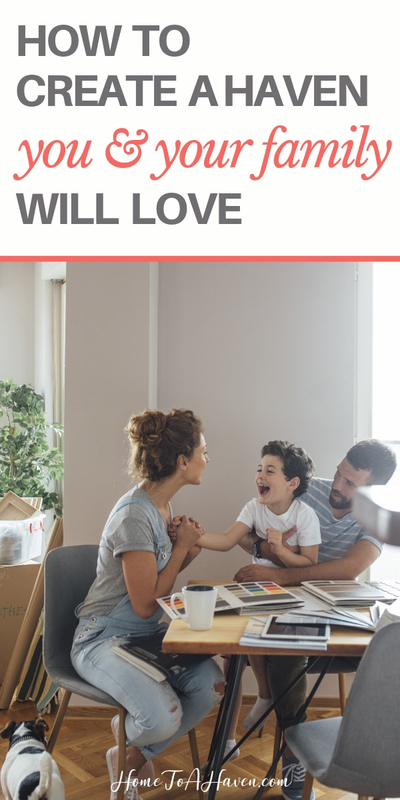 Change in relationships won’t happen overnight, but now’s the time to evaluate what’s going well with the people in your home and how you can build into each connection. Start praying for these relationships now, and pray for any changes that need to be made. Do the hard work of changing your own heart and attitude and watch what happens. Like the rest of your home, a drastic change won’t happen overnight. As you pray and wait for change to happen, you can start working on the rest of your home, too. Step 2 – Know what needs to change in your home. Take time to stop and look around your home. What seems out of place? Does anything definitely stand in the way of a haven? Do you have any basic cleanliness and order issues you need to deal with? If you see a huge mess, you’ll need to clean it. Is clutter everywhere? You’ll need to figure out a decluttering strategy and set aside time to work through it. Do you feel completely out of sorts with random days or approaches to homemaking? You’ll have to create some kind of routine that works for you. Step 3 – Figure out a strategy. Now that you know what needs to change, it’s now time to stop and figure out exactly how and when you’ll make those changes. When will you set aside time to declutter or clean? What kind of cleaning routine might work? When will you try it out and tweak it? Decide what housekeeping approach will work best for you and your home. Step 4 – Get to work. Once you know what you need to change and how you’ll change it, start working. This may take a while and involve a lot of hard work. But keep at it and celebrate your small – and large – successes. Step 5 – Think about your senses. After your house is in order, evaluate your surroundings. Are they comfortable and welcoming? Or the complete opposite? Once you know everything that you’d like to add, start the improvements. Surround yourself with things you already own and love. 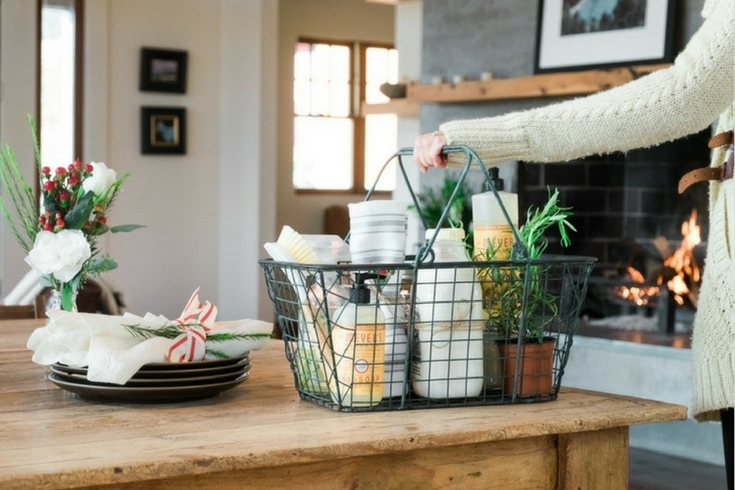 Shop your home for things you already have, and then slowly accumulate other things that will help create your vision for a haven. As you carefully and thoughtfully work through all of these steps, you’ll start to notice a big change in your home and in yourself. You’ll find the freedom and undeniable welcome a haven can give. Best of all, you’ll know exactly how to create a haven you and your family will love. What are some things you’ve attempted to do to create a haven? Have you ever thought about how to create a haven before … and gotten serious about following through? All images courtesy of Adobe Stock, Pexels and Kaboompics.